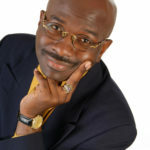 Armstrong Williams is an American political commentator, entrepreneur, author of a nationally syndicated conservative newspaper column, and host of a daily radio show and a nationally syndicated TV program called The Armstrong Williams Show. Williams is also founder and CEO of the Graham Williams Group, an international marketing, advertising, and media public relations consulting firm, and is a political talk show host on TV and radio. He has been described in the press as the business manager and confidant of Ben Carson. "A global democracy works only when countries trust one another." "Sports nurtures dreams of achieving self confidence and masculine striving for the skinny kid watching a boxer dance around the ring with sublime ease." "The greatest job I ever had was working on my family farm. Each morning my father would come into my bedroom around 4:30 am and command me to get up and work the fields. I would spend the next two hours before school slopping pigs and cropping tobacco." "In Washington, DC, politics dominate even the most casual conversations." "Receiving far less attention are the working class heroes, who go about their solitary work routines with quiet dignity, come home from another grueling day, yet still find time to interact with their children." "Let’s remember the children who come from broken homes, surrounded by crime, drugs, temptation, their peers having babies out of wedlock, but who still manage to get a good education despite the many obstacles they face every day." "Even during the worst hardships, when the other things in our lives seem to fall apart, we can still find peace in the eternal love of God." "We tend to admire the people in our society who have accumulated such wealth as to seem somehow great. But we shouldn’t forget that it was the everyday working class man who made this country great."